The sermons and discourses in this volume chart the rise and decline of the Great Awakening in Jonathan Edwards’s parish in Northampton, Massachusetts, and beyond. 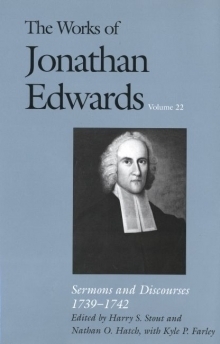 A leading figure of the revival period, Edwards delivered potent and wide-ranging sermons during the years 1739–42. In this volume the transcript of the original manuscript of Sinners in the Hands of an Angry God is reproduced for the first time, along with the text of its first printed edition. Harry S. Stout is Jonathan Edwards Professor of American Christianity at Yale University and general editor of The Works of Jonathan Edwards. Nathan O. Hatch is Andrew V. Tackes Professor of History and provost at the University of Notre Dame. Kyle P. Farley is a doctoral candidate in the department of history at the University of Pennsylvania.